The Competition Commission has issued a no penalty order for failure to act in accordance with the formal requirements of the Competion Act in terms of school uniform compliance. This announcement follows the ratification of an agreement by the competition tribunal and the Independent Schools Association, (ISASA) as well as the School Governing Body federation, Fedsas, in Pretoria. Commissioner Tembinkosi Bonakele commended Isasa and Fedsas for committing to work with the commission to stop collusion when it comes to school uniform prices. Bonakele says the anti-competitive pledge and agreement has the legal authority of a court order. 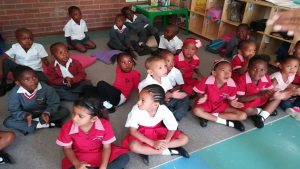 The post Competition commission rules on school uniform compliance appeared first on SABC News – Breaking news, special reports, world, business, sport coverage of all South African current events. Africa's news leader..